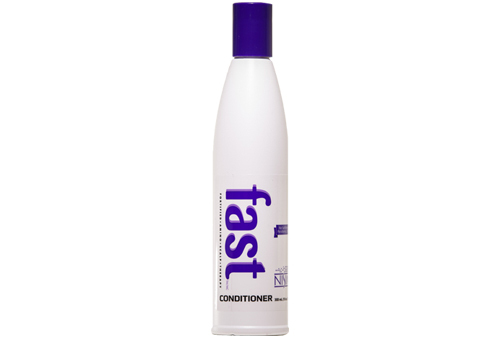 PLEASE NOTE: FAST is NOT a hair loss product. If you are looking for a HAIR LOSS product click here for NewHair Biofactors shampoo and extracts for hair loss. *as detailed in Study Number 10S-0802 - Conducted by Evalulab Dec 22, 2010. Results vary. I love this product! however, it works well with making my hair thicker and healthier. I don't see much of a difference with how fast it grows vs other products. I will continue to use it, I'm on my 3rd bottle of both shampoo and conditioner. I loved the honesty of the bottle, that it would take a few months to see results, and that's when I knew this was real. This American obsession with instant results always disappoints but FAST worked true to its word. My sister recommended it and after a few months my hair grew several inches after five years of continual hair loss. I suggest this product to anyone who will listen! Awesome product, wish they had an even greater product that gives you 3 in. In 1week, then the prices would be really worth it. I love your "Fast" shampoo and conditioner!